My testimonial to Glenn is primarily devoted to digital material he authored and the use of the web for the propagation of AA history as opposed to myth. He is a prolific author and quite skilled in digital archiving. I was introduced to Glenn through “digital channels” around fifteen years ago. It occurred through the web-based AA history special interest group “AAHistoryBuffs” which later became “AAHistoryLovers.” Nancy Olson, an accomplished historian, and close friend of Glenn, started both special interest groups. 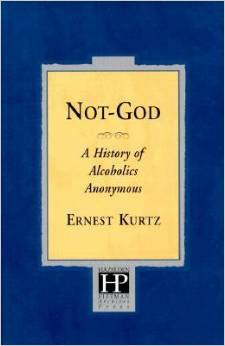 Glenn was one of the premier historians who actively participated, along with Ernie Kurtz and William White. Glenn’s solid academic standards, and clarity in writing, provided a wonderful example to emulate. I corresponded mainly through email with both Nancy and Glenn who inherited responsibility for managing AAHistoryLovers when Nancy became ill and passed away in 2005. Glenn has composed a wonderful history of AAHistoryLovers and a touching memorial to Nancy O. He recently has withdrawn from moderating AAHistoryLovers but over the years has provided a legacy example of academic discipline regarding the material posted and the type of commentary deemed appropriate. Glenn also administers a first rate digital repository at Hindsfoot.org. It is a rich collection of historical religious and spiritual writings together with biographical material on many historical names in AA history, such as Richmond Walker, Rev Ralph Pfau and Father Edward Dowling. Many of his published works are noted and explained on the website together with a rich assortment of AA history and memorabilia images and documents. I enjoyed a wonderful research experience with Glenn collaborating, via email, with him in Indiana and Tom E. in New York. It resulted in an academically disciplined paper addressing AA recovery outcome rates and the myths and errors circulating at the time that AA has only achieved a 5% to 10% success rate. The latest version was released in 2008. I first personally met Glenn at the 2010 AA International Convention in San Antonio. Subsequently, the opportunity to spend more personal time with him occurred over the course of three “long weekend” AA History Symposium events held at the Mago Retreat Center in Sedona AR in 2015, 2016 and 2017. A friendship flourished that I treasure highly today. As a prolific author of books and articles focused on religion, spirituality and AA History writings, Glenn is both diverse in subject matter and quite generous with the distribution of complimentary copies of many of his works in digital form. His latest contemporary works on Father Dowling, the history of black AA members and groups, plus an exposition on how the earliest AA meeting were conducted, provide a rich source of material that can be found nowhere else. In my judgement Glenn is one of the top AA historians today. Editor’s Note: Readers will recognized “Matthew J. Raphael” as the pen name of well-known literary scholar who authored the outstanding biography Bill W. and Mr. Wilson; he recently reviewed the documentary Bill W. for Points. Here he muses on the poor fit between academic values, Amazon.com, and AA’s 11th Tradition. When Bill W. and Mr. Wilson appeared in 2000, it was featured by the Chronicle of Higher Education, largely because of its pseudonymous authorship – so rare an anomaly for this journal that it begged explanation. It seemed eccentric, if not vegetarian, for me to be renouncing explicit recognition for anything within academe’s carnivorous realm, where clawing for visibility names the game. The Chronicle reporter wondered earnestly whether or not the book would appear on my updated CV. If not, would I forfeit a salary bump for meritorious work? I explained the AA tradition of anonymity at the level of press, radio, and film (later expanded to other public media). I added that the tradition did not preclude revealing my identity, if I pleased, under less public circumstances, such as submitting my CV. 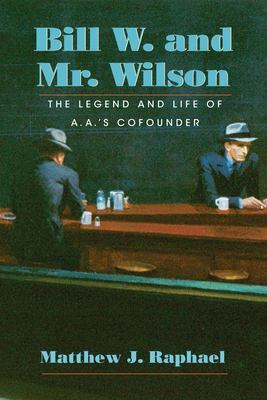 In 2000, there was no great mystery, below the public level, about who had written Bill W. and Mr. Wilson, particularly among those in the incipient field of Alcohol and Addiction Studies. I think my authorship has since become more or less common knowledge, although “Matthew J. Raphael” remains the author when the book appears in the bibliographies of related studies; and it is not placed among my other publications at, say, Amazon.com. More on that presently. The Drugs, Security and Democracy (DSD) Program provides support for research across a variety of disciplines—anthropology, sociology, criminology, history, political science, economics, journalism, public policy, legal studies, public health, and other related fields—to create a network of scholars interested in developing alternative approaches to drug policy and fostering strategies that address the growth of transnational organized crime. The competition is open to PhD candidates and recent PhD recipients worldwide. The program strives to create a stronger, more systematized knowledge base on drugs, security and democracy in Latin America and the Caribbean; to build capacity—both institutional and individual—by supporting relevant research; and to encourage policy-relevant, evidence-based research that could lead to the development of alternatives to present-day security and drug policies. To watch a video about the program featuring DSD fellows, click here.) For information on proposal development for this competition, please view our recent webinar [in Spanish] here. The online application is now available at http://www.ssrc.org/fellowships/dsd-fellowship/. Next deadline is January 20, 2013. FELLOWSHIP RESEARCH AGENDA, DSD funded research must address the theme of drugs and at least one of the other two themes of security and democracy in Latin America or the Caribbean. These topics may include, but should not be limited to, the following issues and areas of study: political economy, anti-democratic strategies used by communities or states, legal frameworks and analyses, the impact on vulnerable groups, and the role of elites. The program encourages interdisciplinary and comparative projects and those that address transnational and trans-regional issues. We encourage research in or about countries or themes that have been underrepresented in the program’s previously funded projects. Please click here for a list of funded projects from 2011 and 2012. Postdoctoral Fellowship: The competition is open to PhD and JSD recipients worldwide who have completed their degree within 7 years of the application deadline. If you are proposing to conduct research in a non-native language, you should provide evidence of the necessary proficiency to carry out the project. The program strongly encourages citizens and residents of Latin America and the Caribbean to apply. Fellowship Terms: The DSD Program provides support for a minimum of 3 and a maximum of 12 months of research. Candidates based outside of Latin America or the Caribbean must spend at least three months conducting research in the region. Fellowship amounts vary depending on the research plan; however, support will be provided for travel and living expenses as well as associated research costs based on a budget reviewed by the SSRC. The fellowship is intended to support an individual researcher, regardless of whether that individual is working alone or in collaboration with others. Recipients of the DSD Fellowship are expected to devote themselves full-time to their DSD research during the tenure of the fellowship. The fellowship includes mandatory participation in two interdisciplinary workshops, one preceding fellowship research and one upon completion of the fellowship tenure. Workshops will be organized by the SSRC and held in Latin America in late July or early August. Travel and accommodations will be provided. DSD is funded by the Open Society Foundations and the International Development Research Centre. The program is a partnership between OSF, IDRC, the SSRC, Universidad de los Andes in Bogotá, Colombia, and Centro de Investigación y Docencia Económicas in Mexico. For more information please visit our program webpage http://www.ssrc.org/programs/dsd and contact dsd [at ssrc [dot] org with any questions. Editor’s Note: Okay, Points readers– show that analogue crew over at NPR what you’ve got. Always wanted to be on the radio? Here’s your chance! BackStory, a history-focused public radio show, is tackling drugs. They’re looking for input from historians and non-historians alike. Here’s the scoop: BackStory is a weekly, hour-long show hosted by three historians: Brian Balogh and Peter Onuf of the University of Virginia, and Ed Ayers of the University of Richmond. We air on various NPR stations around the country. Each week, we put together a handful of stories and ideas to illuminate some broad historical topic: body image, say, or US-Cuban relations, or epidemic disease. Points was kind enough to feature our show on alcohol over the summer. And now we’re tackling a show on drugs, so we turn to you all again. Specifically, we’re looking for folks to call in to the show for a little conversation with our hosts. Some of our favorite callers have brought up personal stories or anecdotes from the present day; the discussion with our hosts helps historicize what’s going on now. But if you just have a burning question about the history of drugs, or an idea you want to bounce off three historians, that’s great too. It’ll only take about ten minutes, and should be fun, low-key, and illuminating — and you get to be on the radio! We’re not a live show, so calls will be recorded ahead of time. The show will be released Jan 11th.